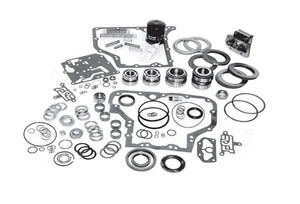 Engine Fix UK can provide all the parts for your fuel injection system requirements for tractors, trucks, marine, plant and construction equipment covering the period of vintage, classic and modern day vehicles. 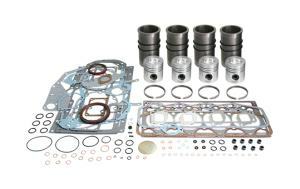 The fuel injection parts we can offer include Bosch, Delphi, Denso, Stanadyne, Cummins etc. On the Low Pressure Side: We can provide fuel supply pumps in tank and external, fuel taps, fuel valves solenoids and fuel filters plus fuel gauge instrumentation. On the High Pressure Side: We can provide high pressure fuel injection pumps of all types, together with fuel injectors, injector nozzles and bodies, fuel pipes, injector sleeves and washers. The fuel injection nozzles can either be the hole type or throttling pintle type, closed or open. Closed Nozzles can be actuated hydraulically using a simple spring based mechanism or using servo-control. Open Nozzles as well as some newer closed injector designs can be directly actuated. The purpose of the fuel injection system is to deliver fuel into the engine cylinders whilst controlling the injection timing, fuel atomisation and other parameters. 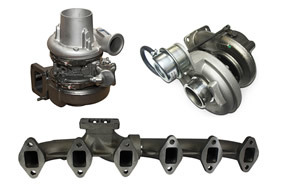 The main types of the fuel injection system include pump-line-nozzle, unit injector and common rail. Modern injection systems achieve very high injection pressures in combination with sophisticated electronic control methods. The modern day improvement in the performance of diesel engines has primarily been due to advances in fuel injection system designs. The way the fuel is delivered to the cylinders to a large degree determines engine performance, emissions levels and noise characteristics. Unlike the spark-ignited engine the high operating injection pressures requires that the materials selected have to withstand high stresses and perform for extended duration that match ever increasing engine durability and reliability expectations. The designs require a high level of manufacturing precision with tight tolerances to enable efficient function, due to the expensive materials, high manufacturing costs and intricate control mechanisms the cost of the fuel injection system on an engine can represent 30% of the total cost of the engine. Fuel Atomisation is a must, small droplets ensure that all the fuel has ability to vaporise and hence participate in the combustion process. If droplets do not vaporise the fuel burns poorly and is exhausted out of the engine. Whilst fuel atomisation and complete evaporation of the fuel is critical, another critical consideration is to ensure that the evaporated fuel has enough oxygen during the combustion process to ensure high combustion efficiency and optimum engine performance. The oxygen provided by the inlet air trapped in the cylinder and an amount must be entrained into the fuel jet sufficient to completely mix with the available fuel during the injection process to ensure complete and hence efficient combustion. The injected fuel is divided into a number of jets sufficient to entrain as much air as possible while avoiding jet overlap and the occurrence of fuel rich zones that will be oxygen deficient. Refers to the nozzle body/needle assembly which fits into the combustion chamber of the engine, terms like P, M or S type refer to standardised dimensions of the nozzle parameters. Refers to the housing the nozzle is mounted in and sets the nozzle needle spring preloading function, in common rail systems it contains the servo-hydraulic and the hydraulic actuator. Refers to the nozzle holder and nozzle assembly. It is the time at which injection of the combustion chamber begins, expressed in crank angle degrees (CAD) relative to top dead centre of the compression stroke. The indicated start of injection is when the electronic trigger is sent to the injector or a signal from the needle sensor that indicates when the injector valve starts to open. Due to the mechanical response of the injector there can be a delay between the signal and when fuel actually exits the injector nozzle into the combustion chamber. 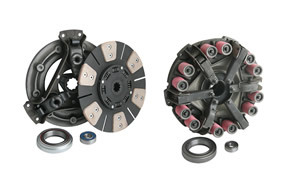 The difference between these is known as the injector lag. In some fuel systems the fuel injection is coordinated with the generation of high pressure, in such systems the start of delivery is the time the high pressure pump starts to deliver fuel to the injector. The difference between the start of delivery and the start of injection is the time it takes for the pressure wave to travel between the pump and the injector, this can be referred to as injection delay. 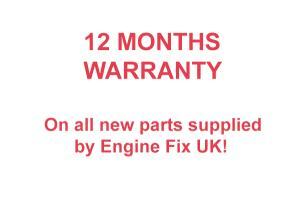 Is the time in the cycle when fuel injection stops. Amount of fuel delivered to an engine cylinder per power stroke, measured in mm3/stroke or mg/stroke. Period of time during which fuel enters the combustion chamber from the injector. The rate of injection of the fuel varies during the injection period, the figure below shows three common injection pattern types Boot, Ramp and Square. Whilst conventional fuel injection systems utilise a single injection event for very engine cycle, newer systems can use multiple injection events. Generally the main injection event will provide the bulk of the fuel, one or more injections may occur before called pre-injections or after called post-injections. 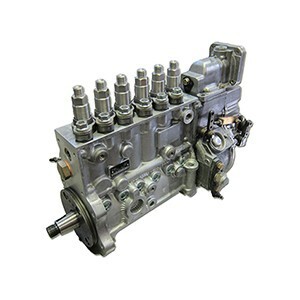 This refers to the mean pressure in the hydraulic system for common rail systems or as the maximum pressure during an injection in conventional systems.